It’s been a hell of a week. The Ulster final ended in predictable Fermanagh failure once Donegal managed to get in for early goals. The three hammerings handed out in provincial finals. The Qualifier results and third round draw. The news of Paddy McBrearty’s season-ending injury and, perhaps above all, Croke Park backing itself into a corner before relenting over Kildare playing Mayo in Newbridge. It’s been a veritable feast of talking points in the GAA and unfortunately few of them were particularly positive. For as long as I can remember, anyone in authority within the GAA is in danger of being painted as a pantomime villain. Not unlike that other necessary villain, the referee, few want to take on those positions, and it’s common for people not involved in such posts or committees, to criticise and vilify them. This type of back seat driver is a common critic of club, county, provincial and national committees and office holders. As with everything, when people get together in big enough numbers, animosity can follow. The GAA put forward the pretty lame excuse of potential crowd trouble between those with and without tickets in Newbridge as a reason for moving the Kildare match to Croke Park, but maybe it’s to their own gates they should turn the watchful eye. In a different age I could see a crowd with pitchforks and burning torches making for Headquarters, baying for the blood of the GAA hierarchy. American politics loves using approval ratings as a key indicator of their president’s success. We have no such figure for the GAA but, if ever a survey was done, I’d imagine those in power would be struggling badly. A huge part of this is our love of giving out but the environment has become one in which people are increasingly looking to pick a fight and stand up against what they perceive as the big baddie. Kildare’s dispute quickly became an us-against-them scenario, with the GAA, and the now perennial punching bag Sky being ‘them’. Framed as such, popular opinion was only heading one way. We Gaels need to be careful as there is plenty of ‘fake news’ out there. 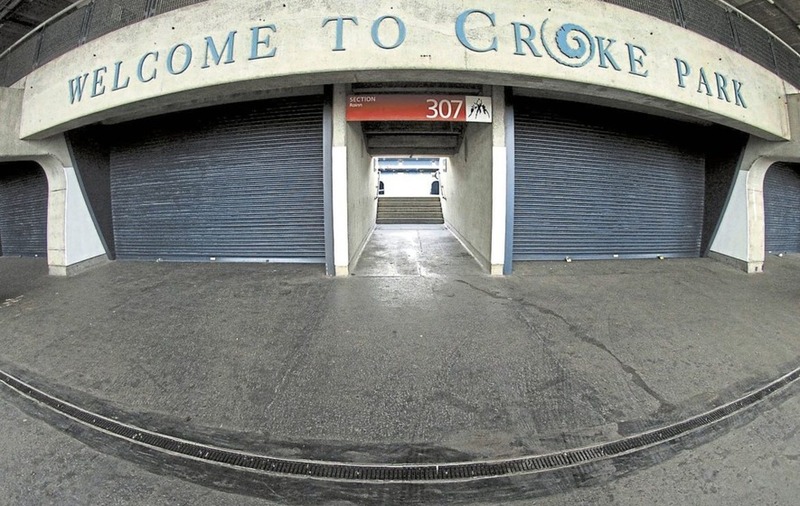 When the story broke, fingers were immediately pointed at Sky, accusing the broadcaster of pressuring the GAA into staging a double-header at Croke Park. Sky’s rebuttal is as useless as all the other rebuttals of ‘fake news’, when it’s out there people will believe there’s no smoke without fire. It didn’t help that the GAA have been tone deaf in the way they allowed the Newbridge scenario to play out but, now the mob knows it has power, I don’t imagine this will be the last time it raises its voice. The GAA somehow needs to get on the right side of the battle for hearts and minds and be much more clued-in in its decision-making processes. If they fail to do so they risk much of their positive work and messages ignored or rebelled against simply because of who’s carrying the message. HUGE ties await Tyrone, Monaghan, Cavan and Armagh in the Qualifiers this weekend. 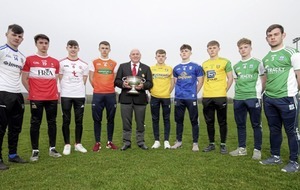 The heavy defeats sustained by Cork, Laois and Fermanagh in their provincial finals will make it hard for those teams to take on the strong teams who have rebuilt momentum following their own respective early-season defeats. Roscommon will probably be the only one of the provincial final losers to be ready to take on the teams that come through the Qualifiers. Armagh will have a tricky game against Clare, but the fact it’s at home should see them through. Kieran McGeeney will be looking for more players to follow Rory Grugan’s fine lead and start finding their best form. Monaghan, meanwhile, are enjoying the sort of luck in the Qualifier draw that while you’re delighted to have it, it still leaves questions of the team. I expect them to easily dispose of Leitrim, but how much confidence, form or tactics can be improved in beating teams like Leitrim or Waterford must be limited. Monaghan’s run is like easy training sessions – lovely when you get them, but you know you are no better off. The big game for Ulster obviously Tyrone v Cavan – a provincial derby between two sides who will play Division One football next season. However, these facts make this appear much tastier than I think it is going to prove. Unless Mattie McGleenan and Cavan have a magic switch somewhere that they can flick to completely change their level of play, I don’t see them competing with the Red Hands. Never mind the potential suspensions for Dara McVeety and Conor Moynagh, which could be decisive on their own, their performance against Down was very concerning. Down are better than how the bookies saw them coming into the match but the fact Cavan still required a desperately unfortunate goal from a goalkeeping error to get back in the game despite Down having Connaire Harrison and Kevin McKernan black carded and losing Caolan Mooney and Ryan Johnston to injury and a red card respectively, is unbelievable. I am a fan McGleenan and love his approach but I’m sure even he is bound to be frustrated with their current form. He’ll undoubtedly take the valid positives of digging in and coming through a tight game, even when not playing well, but at some stage the team needs to produce real quality. Tyrone on the other hand have had good wins. Yes, Carlow and Meath are nowhere near the big hitters, but both provided awkward away games that will have tested Tyrone. Such tests and the ongoing shaping of the team means Tyrone should be getting better and are a sure thing to continue their progress towards that berth in the Super 8s.